"The flowers were for my late husbands gravesite. They're so beautiful. You can see them from the street when you drive up. I love how colorful they are. 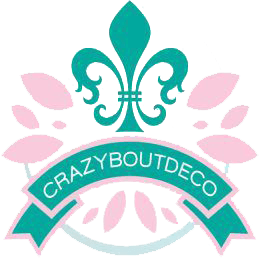 Definitely will buy flowers from crazyboutdeco again!!" "I LOVE this designer! The arrangement is beautiful - exactly like the picture......Her flowers withstand the weather - Love Love Love!!!!! I know that when I order from her - I am getting the BEST!!!! Deb"
"Can not say enough how beautiful the arrangements come out. I have bought several and they have all been amazing. Both my parents have passed away but would have been married 50 years this year. I requested something special and she surpassed my wishes. This was so very special!" "The bouquet was even more beautiful than I could have imagined. I used to buy from a well known retail store but their bouquets were mediocre at best so decided if I was going to spend for a bouquet it should be worth it. This bouquet is way worth it. Packaged perfectly as well. Words can't say how beitiful this bouquet is and how grateful I am to put this on my son's grave on his Birthday. Couldn't be happier with this purchase."